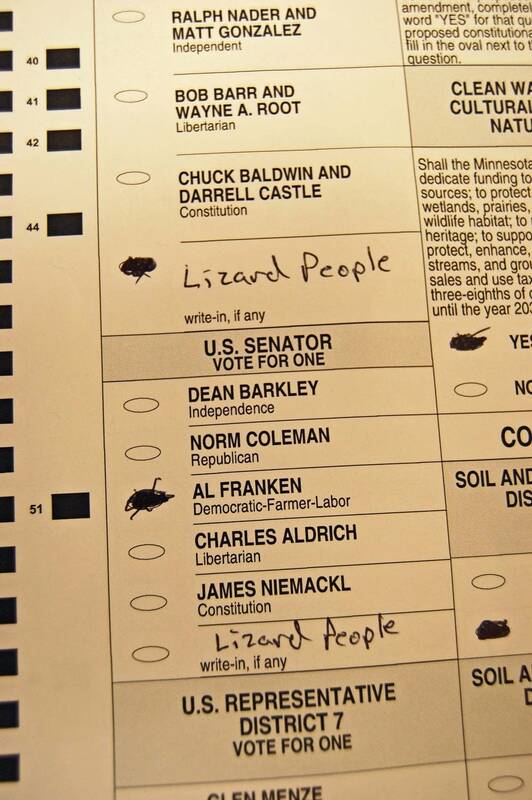 One of the most talked about ballots during the recount was the infamous "Lizard People" ballot. It showed up on various news Web sites and even television. Today, that ballot came up to the State Canvassing Board for review and was rejected as an over vote. However, a similar write-in vote was cast on another ballot, this one for the Flying Spaghetti Monster, the board ruled that the vote would go to Al Franken. 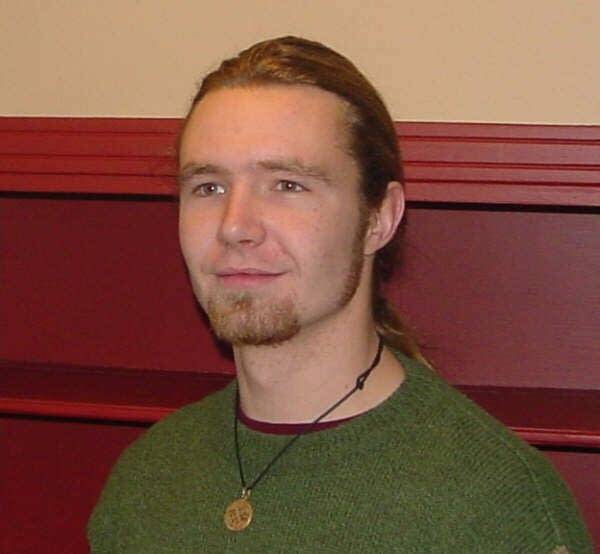 Tom Crann talked with the voter who cast the "Lizard People" ballot, Lucas Davenport, about what he thought about his ballot being rejected. Lucas Davenport lives and votes in Bemidji and no, he's not related to the fictional character of the same name from the John Sandford novels. Minnesota Public Radio has verified Lucas's precinct information and compared his writing with the ballot in question.